When you're carrying around your entire music collection in your pocket, or streaming it from some server, it can be disheartening to plug in a pair of cheap earbuds. They just don't do the experience justice. Well, if you're not afraid to be that person who rocks over-the-ear headphones everywhere, now is a good time to get something that will make those songs sound they way you wish they did. 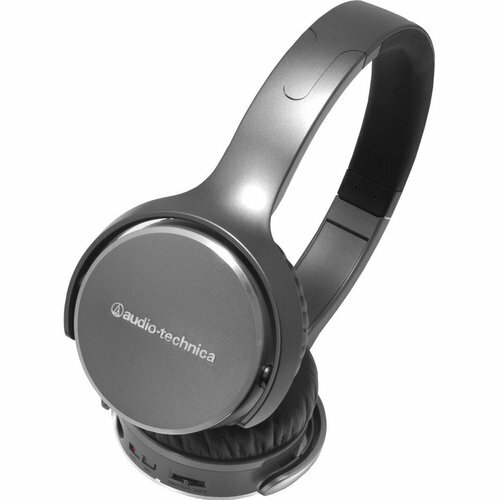 You can currently get a pair of Audio Technica ATH-OX7AMP SonicFuel headphones for $70 on eBay. For comparison's sake, these units are selling for $125 on Amazon. They originally cost over twice that much. Here's the thing. The SonicFuel headphones require an AAA battery, but they're not Bluetooth-enabled. That's right, you're still going to plug these into your phone with a wire the way you're probably accustomed to doing. The battery is there to power the amp. You're getting these for the sound, not the convenience. The item is located in New Jersey, but the seller is shipping to most of the world. Shipping is free.